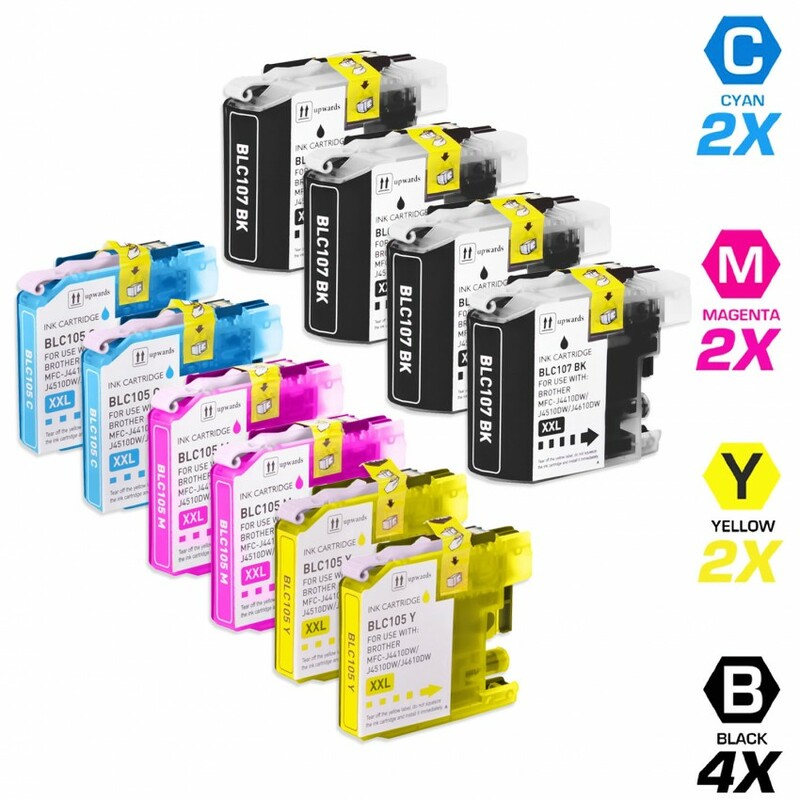 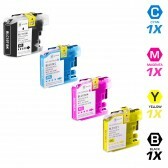 This 10 pack of Brother compatible ink cartridges includes 4 Black (LC107BK), 2 each of Cyan (LC105C), Magenta (LC105M) and Yellow (LC105Y) inkjet cartridges. Save even more with our 10 ink cartridge set for the Brother LC107 and LC105 series. 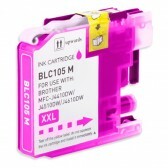 Why pay twice as much for brand name Brother LC107 and LC105 black and color printer ink cartridges when our generic brand printer supplies are cheaper in price but equal in quality. 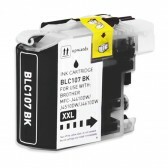 Our compatible brand replacement inkjet cartridges for Brother printers are backed by a full 1 year 100% satisfaction guarantee. So Stock up now and save even more! 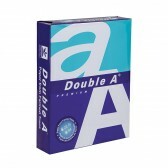 Our Cartridges are manufactured in an internationally certified ISO 9002 factory. 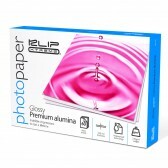 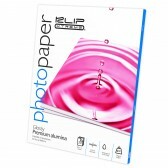 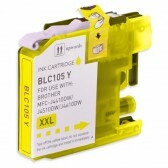 Our cartridges come with a 100% 365 day money back guarantee and technical support. 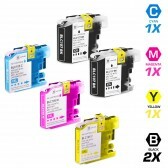 For use in the following printers: Brother MFC-J4510DW, MFC-J4710DW, MFC-J4410DW, MFC-J4610DW, MFC-J4310DW..